Have you subscribed to my newsletter? I'll be sending them out around once a month and they'll contain book news, exclusive content and short stories, book recommendations and more. Plus, with each newsletter I send out, I'll pick one random subscriber to win a prize bundle! The next newsletter prize bundle contains a notebook, book magnets and chocolate and all you have to do to enter is subscribe. You'll automatically go into the draw for a chance to win this prize - and any future prizes too! 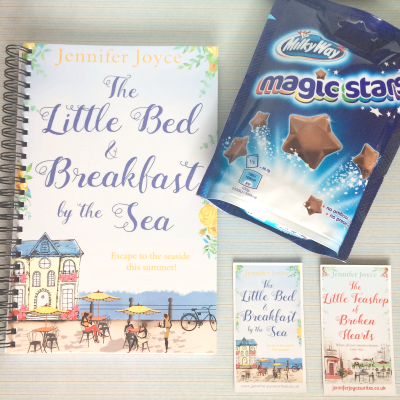 You'll also get a sneak peek at my latest book, The Little Bed & Breakfast by the Sea and a little hint at some bookish news I'm itching to share. A Li'l Introduction to Mae, Willow and Melody!